Tai Pawb has a dedicated team of expert staff. The team has a broad depth of knowledge across the housing and equality field. We pride ourselves on being pro-active, friendly, approachable and helpful. Responsible for: Providing leadership in the development and advancement of Tai Pawb’s strategic direction and operational management. Championing and promoting equality and diversity in housing in Wales. Experience and Interests: Alicja previously worked for the equality sector focusing on grassroots and community work, support and advice as well as strategy, policy and research. She has an M.A. in English Philology and an MSc in Equality and Diversity from Cardiff University. She strongly believes in equality work based on compassion, and respect and cultural change. Born in Poland, Alicja moved to Wales in 2004 and likes walking her dog and camping. Responsible for: Existing and new business and income generation. Experience and Interests: Ceri Meloy joined us in June 2017 as the new Head of Business. Ceri has a wealth of experience in housing and social care having worked for a number of housing associations in South Wales, managing housing and supported housing departments, as well as local authority housing. More recently she was Director of Dimensions in Wales. Responsible for: The day-to-day organisation and co-ordination of the office. This involves looking after Tai Pawb’s membership, database information, the governance of the organisation and charity’s financial affairs. Experience and Interests: Andrea is AAT qualified and has an MSc in Management. Andrea previously worked in the Care Sector for 22 years, and was responsible for the administration and financial functions for Hafod Care Association. Prior to this time she worked in Further Education. Andrea has an interest in musical theatre. Responsible for: Managing and maintaining the relationship between Tai Pawb and its members and other service users, including acting as a first point of contact and developing membership support activities. 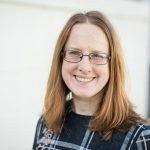 Experience and Interests: Helen worked for national fuel poverty charity NEA Cymru for nine years, where she developed and delivered practical projects, influenced Welsh policy and supported stakeholders with their activity on fuel poverty. Her previous background includes communications roles in the public sector and co-ordinating the national Keep Well this Winter campaign for Age Concern Cymru. Responsible for: Tenant Engagement for the Open Doors Project. The project aims to empower both tenants and landlords within the private rented sector to have the skills and capacity to prevent issues of discrimination and mistreatment within the sector. 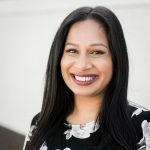 Experience and Interests: Nazia’s professional background consists of engaging diverse groups, community development, project development, training, brief intervention and prevention. Responsible for: Tai Pawb’s communications, policy and political influence and visibility. Experience and Interests: Prior to joining Tai Pawb, Ross worked as an Account Manager at Freshwater, a leading, Cardiff-based PR agency, supporting and advising clients across the public and private sector on their communication, stakeholder engagement and public affairs. He has a degree in Social Policy from Swansea University and went onto postgraduate study in Politics and Public Policy at Cardiff University. Ross has more than ten years’ experience in grassroots community development and community relations, having previously worked for the Communities First programme. He has been a County Borough Councillor in Bridgend since 2012 and was the Mayor of Maesteg in 2013/14. Responsible for: Maintaining the website, social media and branding for the organisation and helping to promote the work of Tai Pawb. Stewart will also co-ordinate external and internal communications to ensure consistent messaging across all platforms. Experience and Interests: Stewart has worked in third sector communications for a number of years, with a broad experience of equality issues. A keen runner, he also sits on the committee and, inevitably, coordinates the comms for a local running club. 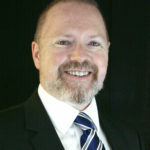 Colin has been working as a trainer, consultant and coach in the field of equality and diversity for over 20 years. He has experience of working with a variety of organisations, including third sector organisations, large public sector organisations, small companies and a number of housing associations. He has an MSc. in Change, Certificates in Groupwork and Human Resource Management, and a Diploma in Leadership Mentoring and Coaching (ILM Level 5). Through his work he brings about improved practice in equality and diversity and makes the issues discussable. His style is most often described by participants as very engaging. A fluent Welsh speaker, Dai worked in local government in Wales for 31 years before becoming a freelance consultant on Equalities and Welsh language issues, covering translation work, policy support (development, monitoring and reporting) and training delivery (especially in terms of general Equalities and Welsh Language awareness and undertaking impact assessments). During his local government career, he gained a BA in Public Management and an MSc in Equality and Diversity. 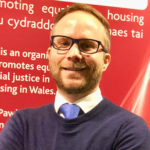 He has experience on a practical level of linking housing and landlord/tenant issues with the Equalities agenda, through training sessions and developing guidance documents, and brings this experience to Tai Pawb as an Associate Member. Marilyn has a background in housing at both operational and strategic level and has undertaken many roles in the voluntary & private sectors. She has been involved in training for over three decades. Marilyn’s key focus is always to tailor the training to suit organisational needs, resulting in management and staff promoting and celebrating the training. Diversity and equality has always been Marilyn’s main priority in the workplace. She is passionate about training and believes it is a vehicle in which to effect change in both individuals and organisations. O lymbia is passionate about supporting and delivering diversity and inclusion for both organisations and individuals. She has worked as an equality practitioner for over 18 years and has a range of experiences including working as an Equalities, HR and Skills Advisor for businesses across Wales, as an Equalities Advisor for public bodies, managing development programmes and as a freelance consultant. She is also a voluntary Trustee for 2 charities. She has delivered a range of equality work including project management, training, facilitation and engagement processes, policy formation, equality impact assessments, equal pay audits, equality accreditations, data analysis and report writing. She has worked at Executive, Director and Board level, as well as with equality, organisations, networks and individuals. 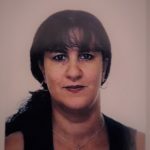 She is also a coach and mentor (ILM Level 7) and has a MSc in Computer Science. Sam has worked in Adult Social Care and Social Housing for over 30 years at a senior management level in voluntary sector organisations. As a freelance consultant Sam works with board members, trustees and senior managers in the third sector reviewing policies and procedures as well as delivering bespoke training programmes to improve practise and exceed regulatory requirements. 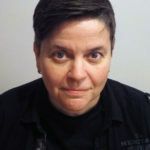 Passionate about social justice and human rights Sam has a particular interest is Safeguarding and developed a compulsory training package for all providers commissioned to deliver services for a large local authority in England. Tai Pawb is governed by a recognised board of trustees. The board scrutinises the work of Tai Pawb and drives our strategic direction. Board members represent membership categories and are recruited for their skills and expertise. With a CMI level 7 in Leadership and honours graduate in Social Policy and Administration, Janice has extensive knowledge of Care and Support Services and Housing, particularly Supporting People. 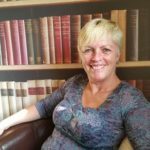 She initially worked as a nurse and midwife in the NHS, before changing career direction and for the past 26 years has worked in senior roles for progressive Housing Associations. 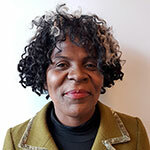 Janice is also a Board Member of Cardiff and Vale Mental Health Development Project. Until 2016, Janice was Head of Support for Taff Housing, with line manager responsibility for c.50 members of staff, including four Team Managers and a Senior Administrator. She managed a variety of generic and specialist floating support contracts as well as refugee and older people’s services in Cardiff, Vale of Glamorgan and Newport regions. She also led the Association’s Equality and Diversity group. In July 2016, Janice returned to United Welsh where she began her support career in 1992. She now has a wider portfolio and responsibility for a Hostel, temporary accommodation, supported housing, and floating support in Cardiff and Caerphilly and leads the United Welsh Thrive Support Department with her colleague Karen Tipple. Jonathan has worked in housing since 2003 in a variety of roles and currently works as Community Relationship Manager for Newport City Homes. Jonathan has been closely involved with the Black and Minority Ethnic communities of Newport and is currently working on ways to use digital tools to allow all tenants to get involved with their landlord and to improve their experience as customers. He strongly believes in the need for housing and related services to be accessible to all, and is really proud to be on the board of Tai Pawb. Craig joined what was the Welsh Office in 1981. In the mid-80s he took a secondment to the Secretary of State for Wales’ Office in London which spawned his interest in Welsh politics and current affairs. In the early 2000s Craig was Senior Private Secretary to the education minister in Welsh Government and later becoming Chief Adviser to the Presiding Officer at the National Assembly for Wales. Craig is now the Director of Engagement at National Assembly for Wales. He has also been the chair of Assembly LGB&T Network, since it was established in 2008 and senior champion helping to lead the organisation’s success as the top UK employer for LGBT staff in 2018. Lindsay is the CEO of The Wallich. She previously worked for the National Probation Service and a Community Safety Partnership in England, managing a portfolio which included substance misuse, housing, domestic abuse, community policing and counter terrorism. 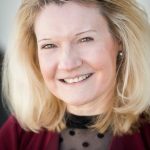 Previously Lindsay was the CEO of award winning Newlink Wales and was the co-author of Recovery Framework for Wales. Her particular skill is innovation and she describes herself as a big ideas person. Lindsay has published academically on the subject of culturally appropriate practice and the challenges of embracing diversity within the substance misuse sector. She is currently studying for her Professional Doctorate and is an honorary research fellow at Cardiff University. Most of all she is a relentless problem solver, skilled strategist and a lover of life! Mark has over 16 years’ experience of working within local government, having previously worked in the NHS and Armed Forces. Having started his housing career at Newport City Council as a housing assistant in the rehousing services team, Mark currently works as a housing strategy officer at Caerphilly CBC. He has a BSc (Hons) in Housing Studies, a PGD in Housing & Business Management and an ILM Level 5 Award in Leadership & Management. 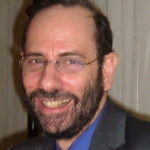 His professional interests are equality and diversity, and sustainable development within a housing context. Outside of work, he enjoys playing and watching sport. Matt started his career in housing as a graduate management trainee at (what was) Gwalia Housing Association working in a variety of departments and roles, from the front-desk to letting properties. Going on to study at the University of Bath gaining an MSc in Business & Community, Matt went on to become a policy officer at Community Housing Cymru, specialising in care, support and health. Matt progressed to work at Macmillan Cancer Support as their policy officer in Wales, focussing on work to shape and inform the government’s approach to cancer care in Wales. 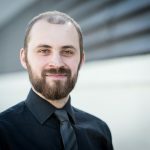 Matt returned to the housing sector in 2017 to take up a role as policy and public affairs manager at the Chartered Institute of Housing in Wales where he leads on the organisation’s policy activity. Matt is passionate about the role housing professionals have in improving outcomes for people and alleviate pressures on other public services. Robin has been Head of Homes and Safer Communities for Carmarthenshire County Council since 2004. This includes leading housing, public protection and some social care services. Previously, he worked in a housing management community/co-operative development, was director of an RSL and Head of Housing in a south west council, ran his own housing and regeneration consultancy, and worked for the Audit Commission in Wales. Robin is a housing adviser to the Welsh Local Government Association and a Governor of Pwll Primary School. For his sins, he is an follower of the Scarlets, London Welsh and West Ham. 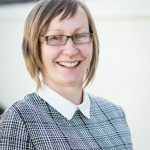 Sarah joined Valleys to Coast in July 2017 as Director of Resources continuing her career in the housing sector, in particular not for profit organisations. 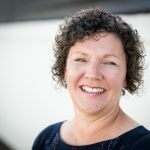 Her previous roles include Director of Finance and ICT for Cardiff Community Housing Association, Assistant Director of Finance at Gwalia (now the Pobl Group), and also Director of Finance for Tenovus, the cancer charity. Sarah was a Board member at Valleys to Coast for a short period of time in 2011 and is currently on the Board of Cardiff and the Vale Care and Repair. She is a Fellow of the Institute of Chartered Accountants, has a CIPFA qualification in International Treasury Management, a Foundation Certificate in NLP from Chester University and a degree in Economics from Swansea University. Stuart is Resources Director at Wales and West Housing. A chartered accountant with over 20 years’ experience, he has previously worked as a senior finance professional in property development, construction, built environment consultancy, advertising and audit, both in England, and for the last 15 years, in Wales.